Orange County, Florida – PIP insurance or Personal Injury Protection, has the world of motor vehicle insurance providers on tenterhooks as the Supreme Court rules against an insurance company and in favor of the Florida Hospital Medical Center in the 5th District Court of Appeal. Personal Injury Protection(PIP) is mandatory insurance coverage for all registered vehicle owners in the state of Florida and serves to cover up to $10,000 in medical bills, damages, or losses stemming from a motor vehicle accident regardless of which driver was legally found at fault. Nevertheless, not everything is as simple as it seems as insurance providers as well as healthcare providers are all looking out for their best economic interests. Thus was the underlying basis for the PIP case brought on by the Florida Hospital Medical Center, which held the Progressive Insurance Company liable for $200 in unpaid reimbursement for medical services rendered to one of their policyholders. A Progressive Insurance customer, a car accident victim, suffered personal injuries that accounted for $2,781 in hospital expenses. According to the official court records, his PIP insurance policy had a $1,000 deductible which the hospital subtracted before calculating the total amount using the formula under Florida PIP law. It turns out that the insurer did not apply the same method for determining the legitimate amount owed to the hospital and reached a total amount due of $868. This $200 difference, brought-on by subtracting the car accident victim’s $1000 deductible, prompted the legal battle by the Florida Hospital Medical Center. The case, which has insurance providers around the USA on edge, ruled against the formula used by the insurer company to calculate the amount owed. The decision was based on the grounds that the insurance company should apply the deductible to the overall charges in line with the statutory provisions. The ruling will ultimately lead to all insurance providers in Florida ultimately having to pay more to hospitals and healthcare practitioners treating motor vehicle accident victims. So where does PIP stand now? The new rule states (in a nutshell) that the deductible needs to be exhausted at the start. Statutorily, the minimum deductible is $1,000, so the first $1K is the responsibility of the insured person and the insurance provider doesn’t have to pay it. Until now, the insurance company was spreading out the deductible. The Perazzo Law Firm Serving Miami Car Accident Victims and PIP Litigation. Miami & Miami Beach Highway Accidents: Amid stormy weather, a truck accident on the northbound lanes of Interstate 95, which connects Miami Beach and Miami, added to the Labor Day weekend driving woes. A fatal crash backed-up traffic for several hours after a 47-year-old motorist behind the wheel of a Mitsubishi truck, spun out of control when it smashed into the inside highway wall. According to the Florida Highway Patrol, the mid-morning crash ended in tragedy as the Miami Fire Rescue team pronounced the truck driver dead after he was flung from the cab and landed on the sidewalk below. Luckily, no other serious personal injuries were reported from the crash despite the truck spinning across the I-95 northbound lanes. Further south and about a half-hour later, a car accident blocked-off two lanes of the MacArthur Causeway east of Watson Island. Fortunately, no casualties were reported but the Miami Beach Police Department is advising motorists to avoid highways if possible, especially while bad weather persists. Monday wraps-up a Labor Day weekend that left a fatal mark on Miami roadways with at least seven dead and close to twenty-five injured. Trucks and large vehicles represent added dangers and require greater caution by car drivers and motorcyclists as large vehicles are much more difficult to maneuver amid heavy rains and on slippery roads. The most recent reports show that of the approximately 500,000 reported crashes involving large trucks in the US, some 4,000 were fatal, with close to 105,000 resulting in personal injury. It is worth noting that fatal accidents that involve trucks most often take-place in rural areas and on interstate highways. This being said, the Perazzo Law Firm suggests extra precaution when operating a motorized vehicle on Miami highways or Florida rural areas. Pedestrians and bicycle riders should also be extra alert when they detect the presence of a large moving vehicle in motion. If you, a loved one, or family member has suffered Personal Injury from a Truck Accident or any other motor-vehicle, the Perazzo Law Firm urges you to contact our Miami-Dade or Miami office Online or Call (786) LAWS-411 for a FREE initial consultation to discuss your legal rights for compensation from personal injury, property damage, or losses because of an accident involving a motor vehicle. Tragedy strikes Miami-Dade highways leaving six dead and eleven injured in two separate incidents. Miami-Dade: A drunk motorist led to the death of four people and serious personal injury to six others on the northbound lanes of the I-95 near 62nd Street in Miami-Dade County just after midnight. What started-off as a minor motorcycle incident involving another vehicle, turned into tragedy when a drunk 42-year motorist behind the wheel of a GMC van crashed into the rear bumper of a car that had pulled over to assist the injured motorcycle rider. The Florida Highway Patrol reports that there were several people on the highway shoulder assisting the motorcyclist when they were suddenly struck by the pulled-over vehicle the van operator had crashed into while driving drunk. The driver responsible for the deadly incidents was taken into custody and charged with manslaughter, serious bodily injury, property damage, and even resisting arrest. Sadly, the overnight death toll on Miami-Dade highways didn’t end there as two more people lost their lives a few hours later in a rollover accident on the Florida Turnpike. A Mercury SUV crashed into a guardrail after inexplicably losing control, causing the vehicle to flip over upon impact. Two of the passengers died when they were ejected from the SUV, while the driver, another passenger, and a baby, which had also been ejected from the SUV, survived. They were immediately taken to a local hospital where they are listed in serious condition. The FHP is trying to determine the cause of the accident, which apparently has a slippery roadway as one of the determining factors. According to data provided by the Miami-Dade Police department, there were 28 reported car accidents in August, 10 of which involved serious personal injuries. Statistics released by the Florida Department of Highway Safety and Motor Vehicles reveals some 388,032 car accidents in Florida in 2017, with Miami and Broward County ranking at the top. Miami accounted for 63,157 of reported incidents, with the highest percentage occurring on Friday nights. MIAMI – A sixty-eight year old Uber driver lost his life this past Tuesday when his SUV was crashed into by a stolen vehicle allegedly fleeing from the police. According to official reports, surveillance camera, and cellphone footage, the Uber driver’s SUV suffered a violent impact when a stolen Dodge Ram Truck made a sharp left turn. Unfortunately, the Uber driver was unable to react in time and suffered serious personal injury which led to his death at a local hospital. Eyewitnesses report that his passengers, which included several children and a woman who was seated in the front seat, also suffered personal injuries as a result of the impact. Fortunately, none of their injuries were life-threatening despite the woman showing signs of being in extreme pain. Just seconds after the impact, Miami police officers arrived at the scene and arrested the driver of the truck, who is being charged with grand theft auto. The deceased Uber driver had been working for the ride share company since 2014 and according to loved-ones, the deceased Uber driver was a loving and dedicated father who strived to provide the best for his family. Just like all registered motor-vehicles in Florida, Uber and Lyft carry insurance policies that serve to compensate accident victims for their legitimate claims. Furthermore, Uber and Lyft insurance policies can cover up to $1 million in compensation for injury, damage or losses. Thus, The Perazzo Law firm considers it vital for Uber or Lyft passengers, drivers, or other victims to remember that they are legally protected and covered in the event of an accident that involves one of these ride-share companies. We recommend all car accident victims to visit our Car Accident section for insight into PIP coverage and other insurance policies aimed at providing compensation for personal injuries, property damage or loss. If you, a loved-one, family member, or someone you know has been involved in an accident during an Uber or Lyft ride, or was hurt due to being crashed into or run over by an Uber or Lyft driver, The Perazzo Law firm encourages you and considers it is best to contact our Miami-Dade or Miami Beach office immediately, so that one of our Personal Injuries Attorneys can represent you to litigate against the Uber or Lyft driver’s insurance provider. Contact online or Call (786) LAWS-411 for a FREE initial consultation. Hazard Light Rainbows and Florida Law. In Miami, hazard lights seem to herald the forthcoming of the rainy season. Thus, the next several months may force motorists to confront mother nature’s menacing downpours in many ways. But the biggest threat doesn’t come from pouring rains or flooded streets, but from the colorful spectrum of lights from panicky motorists caught driving in stormy weather. While the misconception that hitting your hazard lights provides a dose of 360 degree safety, it in fact adds to the dangers of you being struck by another vehicle, as hazard lights reduce visibility and mean that a car is pulled over. As if braving poor visibility and slippery streets weren’t enough, the State of Florida has a Hazard Light Law, and motorists better beware of the $129 fine. In Florida, as in many states, it is illegal for drivers to turn on their hazards lights while in motion, especially in the rain. Despite the need for laws having to be enforced to compensate for lack of common sense, hazard lights are intended to be used in the event of a road emergency. Thus, applying hazard lights while driving, especially at slow speeds, could be easily misinterpreted or distracting to another driver. Unless used in the event of an accident, driving in the rain doesn’t constitute as a road emergency. In layman’s terms, just because a motorist is in a state of panic or in need of a sense of added safety to prevent an accident, he or she may get a ticket for hitting their hazards lights while driving in the rain. If you, a family member, or loved one has suffered Personal Injury, property damage, or loss as a result of an accident involving a motor vehicle in or around Miami, Florida, the Perazzo Law Firm urges you to Contact us ONLINE or CALL (786) LAWS-411 to receive a Free initial consultation. Our Car Accident Lawyers and Insurance Claim Litigators are ready to get our Clients just compensation for their Personal Injury as a result of a Car, Truck, Motorcycle, or Boating Accident. The female driver of a Kia Soul is suing the female driver of a Hyundai Elantra for the serious permanent injuries she claims to have suffered because of the collision. The accident occurred at a Tarpon Springs intersection when the driver of the Kia Soul was crashed into by the Elantra, which apparently was being operated both negligently and recklessly by the Hyundai driver. The Kia driver is seeking over $15,000 in compensation to cover her personal injuries, property damage, and other expenses. According to Florida State law, all registered vehicles must carry PIP insurance to cover damages or injuries resulting from a car accident. If you, a family member, or loved-one has suffered personal injury or property damage as a result of a car accident, the Perazzo Law Firm urges you to contact us Online or Call (786) LAWS-411 immediately for your Free initial consultation. In most car accident cases, it is fairly easy to determine who the responsible parties or parties are. A car accident case may become more complicated when more than one driver is responsible. Moreover, some car accident cases involve contributing factors that may be outside the control of the drivers involved in the accident. Those factors can include defective safety features in one of the vehicles, unsafe road conditions created by negligent construction or maintenance. Sometimes, a driver who causes a car accident may be under the influence of medication that was falsely prescribed by a doctors or incorrectly filled by the pharmacist. A subcategory of personal injury caused by a vehicle is known as hit-and-run. In these cases a driver, passenger, or even a pedestrian is injured by a negligent driver who leaves the scene. In these cases the difficulty in collecting damages arises from the inability to identify the driver who caused the injuries and escaped. Owning and driving a vehicle is one of the most favorite American past times. The United States has a very high personal automobile ownership rate compared to the rest of the world. 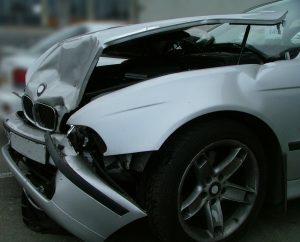 Most car accidents primarily involve injuries to drivers. In these cases the degree of fault is appointed based on the drivers’ careless conduct in observing road safety rules. That is, the driver that causes the accident can be pursued for damages. If more than one driver is at fault then the liability of the driver most at fault is reduced by the percentage of fault of the driver who is less at fault. In recent years there has been a growing availability of personal transportation services. These services are becoming more wide spread and increasingly as easy to use as tapping your phone screen a few times. These professional drivers who offer their own automobiles to provide transportation to willing customers are not immune to car accidents which may lead to serious injuries. In these situation, the distribution of liability may become somewhat more complicated. Personal injury cases typically involve one or more drivers and vehicles. However, a small but significant portion of personal injury cases involve a variety of different factors vastly increasing the complexity of litigation. One of the factors leading to the complexity of a personal injury case stemming from a car accident can be the type of injuries suffered by the victim. In most instances, injuries stemming from a car accident are assessed on the scene or soon thereafter from a simple doctor’s visit. However, some injuries may take some time to manifest symptoms. Typically, theses injuries involve brain damage which may not be easy to diagnose as the victim may not exhibit symptoms for days or even weeks. Some of the symptoms of brain injury, such as difficulty concentrating, mood swings, depression, etc., may easily be attributed to daily stress rather than serious brain injury. Brain injury symptoms are easy to misdiagnose and may go untreated for some time. Brain imaging scans can reveal brain injury but can fail to reveal the full extent of the damage. Given how difficult it may be to diagnose a brain injury, by the time a patient reports the symptoms to a doctor and a scan is ordered, weeks if not months may have already passed since the date of the car accident. Following a car accident, it is important to consult a doctor as soon as possible and report all symptoms even if they can be attributed to something else like participation in athletic activity or even a stressful job. As we approach the holiday season, we look forward to spending time with our friends and loved ones. Unfortunately, celebration can lead to tragedy in a blink of an eye. Typically, the holiday season sees a spike in serious injury from car accidents. Celebrations can often involve intoxicants, which impair ones ability to drive or safely operate machinery. If the unfortunate happens and you or your loved ones suffer an injury from a car accident, it is important to begin gathering facts right away.